“Toward Car-Free Cities,” a blog series by WRI Ross Center for Sustainable Cities’ Urban Mobility Team, explores the challenges and opportunities for Transport Demand Management (TDM) strategies. TDM focuses on reducing the demand for private vehicles through combining public policy and private sector solutions. It is an essential component for comprehensive sustainable transport planning that complements public transit, walking and biking. Through the different lenses of New York City, Bogotá, Stockholm and London, the series examines the social and political barriers that cities need to overcome to successfully implement TDM strategies. 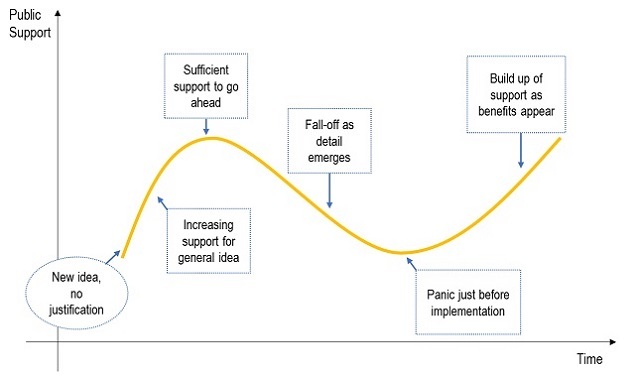 The blog series also discusses the future trends of TDM and its implications, particularly in the developing world. 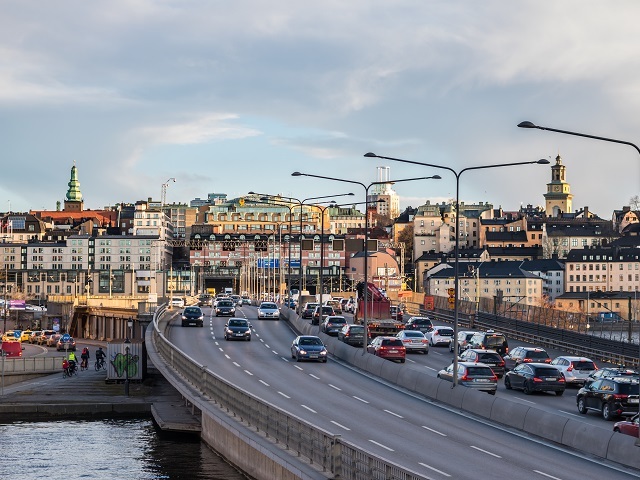 Like many cities that have introduced or tried to introduce a congestion charge, there was initially widespread resistance to the idea in Stockholm. The system consists of 18 tolls at access points around the central city, active between 6:00 a.m. and 6:29 p.m., Monday through Friday, which charge varying fees to incentivize public transport – or at least not car use – during peak hours. The highest fees are during commuting hours, when tolls can triple from 10 to 30 Swedish krona ($1.14-3.43). Before a six-month trial began in January 2006, the project was supported by only 36 percent of city residents. Complicating things was that infrastructure cannot be charged in Sweden, only taxed, meaning all revenue would flow to the national government which would also control the project design. Opponents therefore linked the charge to “existing negative attitudes to taxes, inequity, restricting freedom and mobility, public interventions and national interference in regional matters,” according to Jonas Eliasson of the Stockholm-based Center for Transport Studies. But, as has been seen among other cities that have implemented congestion charges, something happened after the scheme entered into effect: people started to see the benefits. In July 2006, after the initial trial was completed, a referendum held in Stockholm and several surrounding communities found 53 percent of voters supported reintroducing the congestion charge. Since the referendum, support has continued to increase: a 2007 poll showed 66 percent support, and in 2013 there was over 70 percent support among Stockholm residents. Similar shifts in public support have been seen in other cities implementing congestion charges, like London. Phil Goodwin of the UK’s Transport Research Laboratory suggests a S-shaped “gestation process” may be typical for road pricing schemes, where public opinion sours on the idea in the lead up to the start of the trial but gradually rises after. Goodwin’s S-shaped “gestation process” for road pricing schemes. Source: Goodwin (2006). Surprising BenefitsMany residents were initially against the charge in Stockholm because they did not think there would be significant outcomes. During the trial period, however, traffic declined 21 percent compared to average volumes before the charge; five years later it was still down 20 percent, despite an increasing population. In addition to a decrease in traffic volume, 24 percent of commuting trips flipped from cars to transit, and commercial traffic decreased by 15 percent. The large reduction in traffic volume also led to reductions in vehicle emissions in the inner city by 10-15 percent (depending on the pollutant type), as well as increased traffic safety. Minimal Negative EffectsMany residents were concerned about a plethora of negative impacts: being priced out of using the roads, being forced to change their travel behavior, overcrowded public transit and/or simply displacing congestion to other areas that were unaffected by the charge. Instead, they discovered that the changes were not as bad as they had expected, traffic volumes and congestion decreased and the public transit network was not overburdened by the increase in ridership. FamiliarityFamiliarity breeds acceptability. As people got used to being charged, they became less opposed to the idea of paying for a good that used to be free. It was, in fact, not just the public but also politicians who changed their attitudes and began to embrace the benefits of the congestion charge. 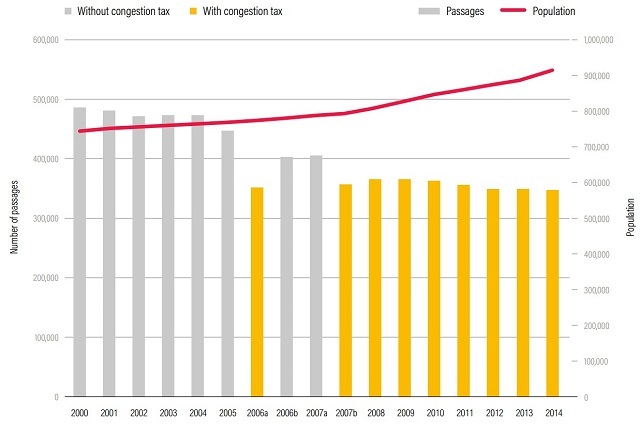 Traffic volume in Stockholm declined and has remained below pre-congestion-charge averages even as population increases. 2006b and 2007a mark the time between the end of the trial period (July 2006) and beginning of the official implementation of charging scheme (August 2007). Source: WRI (2017). While public and political attitudes are related, public approval is neither a sufficient nor necessary condition for political support, a fact that is well highlighted in New York City’s failure to implement congestion charging. Essentially, political support in Stockholm was garnered through what was called the Cederschiöld Agreement, a deal between various local and national stakeholders that ensures revenues from the charge are integrated into national investment planning processes. This provided both local and regional politicians with considerable control over the usage of the revenues and soothed fears that the national government might use the program’s success as an excuse to redirect infrastructure funds elsewhere. The success of congestion charging in Stockholm has led to further experimentation. Since 2016, charges were raised for vehicles entering the inner city, while new charges were introduced for the Essingeleden motorway, the major artery around the city and the busiest road in the country. Preliminary results show a reduction in traffic congestions after the new charges. Sweden’s second-largest city, Gothenburg, also implemented a similar scheme in 2013. The Stockholm case shows that public and political support can shift dramatically once people experience the actual effects of congestion charging. Eleven years later, the precarious trial has blossomed into a major component of city’s transport system.